I said it back during Day 1 that there’s a song I’ve written about before and a song, I’m sure, I’ll write about again. That would the same song that reminds me of my parents: Chicago’s Hard to Say I’m Sorry. You can read more about why I chose that song HERE. Day 4= song that clams you down. This one is really tough. How do you choose ONE song that’s best suited for calming you down? I haven’t a freaking clue, nor do I have all the time in the world to figure it out. So how did I choose one? I looked to my favorite artist of all and picked one of his tunes. Even that wasn’t very easy to do because Bryan Adams has been around for a long damn time and has a ton of songs to choose from. Nevertheless, I’m picking one from this 1983 Cuts Like a Knife album: Straight from the Heart. 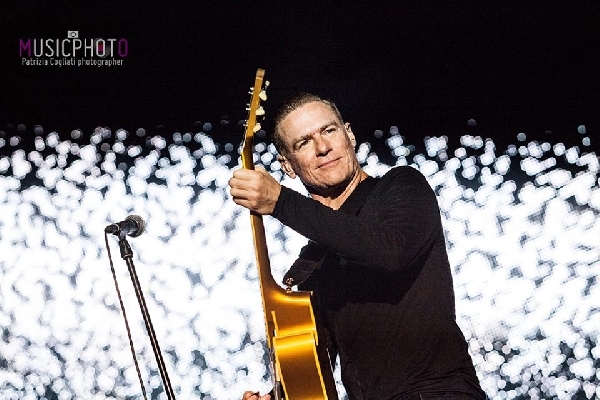 Choosing a Bryan Adams song as one that calms me isn’t too difficult; narrowing it down to ONE is, but this is a lovely song, don’t you think? And this video version of it? Wow do I love this man. He’s just such an awesome, inspiring talent. check out more challenge entries at Stuphblog.com. Bryan Adams saved my life. I don’t mean he literally prevented me from taking my last breath…Well, not really. It was 1987. I was 15 years old and miserable. I was already on my third high school in less than two years because my mom was running from debt collectors. I had literally one friend who lived an hour away. Nobody else would talk to me. I started avoiding looking people in the eyes. 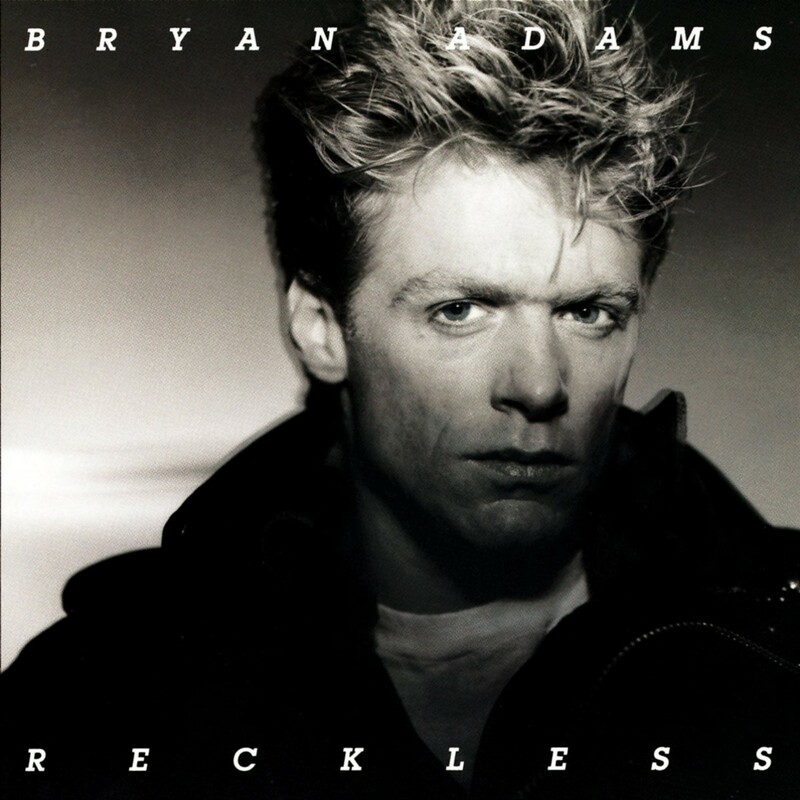 Bryan Adams released his follow-up album to his massive hit record, Reckless. I instantly gravitated to the song that shared the title of the album, Into the Fire. I listened to that album and that song especially, over and over again. I cried and cried. And, for the first time in years, I felt that maybe I really should hang on; maybe there really was a light at the end of that deep dark endless tunnel I seemed to be stuck in. Soon I learned that Bryan Adams would be coming in concert. I absolutely had to go; I had to survive long enough to at least see him live in concert. On July 18, 1987 I dressed in my favorite very-worn blue jeans (with holes in the knees) and favorite shirt—a yellow and white vertically striped button down shirt. Of course I popped up the collar and of course I wore my favorite yellow Converse All-stars. I even bought a new BIC lighter to ignite during my favorite songs (of course it died well before the end of the show). I cried during the show. I screamed and sang as loud as I could, but I cried too. I didn’t scream and cry because OMG Bryan Adams is right there singing to me and he’s so beautiful and lovely and my life will never be the same because I was in the same building with him. That’s not what my screaming and crying was about. Not at all. My screaming was a thank you to him. I didn’t love him because of his face or because he was a Rock Star. It was/is his words, his stories, his music, his passion. That’s what I love about him; it’s so evident to me—always has been—how much he loves what he does. I guess finding someone with so much love for what he does helped me realize that maybe one day I could love something that much. It gave me hope. He gave me hope. Twenty-seven years ago, Bryan Adams saved my life. And one week from today, I get to see him again live in concert during his Bare Bones tour (of which I’ve scored amazing seats!). I’m taking my mom while my husband stays home with my girl (she’s only 4 or I’d probably take her instead). I’m not quite sure what I’ll wear just yet and I definitely won’t be bringing a lighter (but it’s 2014 so I’ll have my cell phone and since our seats are so great, I expect I’ll be taking video and/or photos). I can’t wait. I’m not holding on for dear life like I was 27 years ago, but I can’t wait nonetheless. It’s not every day you get to be near the person who saved your life.